Jack Cronin Osborne, age 91, passed away peacefully at Edgewater in West Des Moines on Sunday, April 7, 2019. He will be truly missed by his family and all of the people he touched throughout his life. A celebration of his life will be held Saturday, April 13, 2019 at 2:00 p.m. at Edgewater, 9225 Cascade Ave., West Des Moines, IA. Jack was born in Hampton, Iowa on June 17, 1927. His father, Dr. Claud Osborne was a prominent general surgeon in Hampton. Anna [Cronin] Osborne-Watson was one of the first licensed practicing Nurse Anesthetists in Iowa. Jack served in the Navy during World War II and graduated from University of Iowa Law School in 1950 and is a Lifetime Honorary Member, Board of Directors at Iowa Law School Foundation. Jack was an avid Hawkeye fan throughout his life. Jack married Janeth [Hoag] Osborne of Waterloo Iowa on July 23, 1948 and raised 5 children: Tim, Joel, Amy, Matthew and Mark. Jack practiced law in Omaha, Nebraska and joined Northern Natural Gas Company’s legal department in 1952. Jack was promoted to the President of Peoples Natural Gas, a subsidiary of Northern Natural Gas. In 1979, Jack accepted a job as Executive Vice President of Iowa Public Service in Sioux City; and in 1984 he joined Iowa Resources in Des Moines. He retired from Iowa Resources in 1991. Jack was musically inclined and throughout his life he entertained his family and friends with his unique vocal styling. As a youth he played coronet in several local big bands. 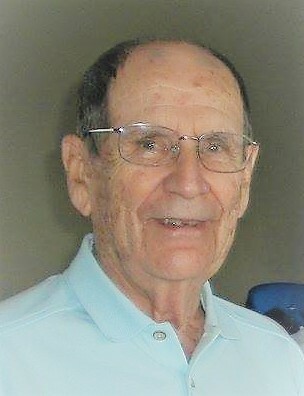 He was physically active and participated in sports throughout his life. He starting jogging before it was fashionable. He was an avid golfer and tennis player. He coached all of his children in youth sports including basketball, football and soccer; although he never understood how soccer was actually played. Lake Okoboji was always held a special place for Jack, Jan and the family. The entire family spent many summers at the cottage on East Lake; and in retirement Jack and Jan lived on West Lake, enjoying many beautiful sunsets and annual family gatherings. Jack was predeceased by his wife, Janeth in 2007; by his son, Tim of Lake Geneva, WI in 2017; and by his sisters, Marge Vito of Florida and Claudia Paulus of Ohio. Jack is survived by his children, Joel (Joyce) Osborne of Tinton Falls, NJ, Amy Osborne (Dawn Lorenzen) of Manning, IA, Matthew Osborne of Fargo, ND, and Mark Osborne of Cedar Rapids, IA; daughter-in-law, Sheila Osborne; grandchildren, Sam (Darcy) Osborne, Jamie Osborne, Jocelyn (Aaron) Bosch, Seth (Kate) Osborne, Justin Hall, Jared (Kim) Burgin, Janeth King, Veronica King, Joseph Osborne, Julia Osborne, Caroline Osborne, Nicole Osborn, Nathan Osborne, and Lauren Osborne; and 10 great-grandchildren. A special thanks to the staff at Edgewater Senior Living. 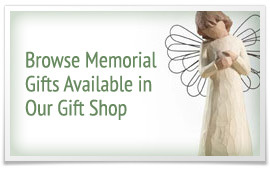 In lieu of flowers, please send memorials to the University Iowa Hospital Foundation or the Okoboji Summer Theater.